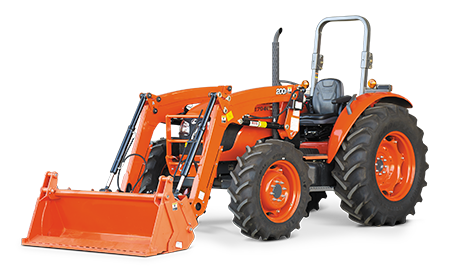 The Kubota M7040DH features a 68HP E-CDIS engine, offering more durability, power and fuel efficiency than other models in its class. The ROPS model is equipped with hydraulic shuttle shift to make forward and reverse manoeuvers quick and smooth. Standard specifications includes Creep Speed and Autohitch. Synchronized four speeds of the main shift and a high/low range supply tractors with 12 Forward and 12 Reverse speeds, including 4 creep speed. Standard with a 540/540E hydraulic independent PTO, to increase productivity. 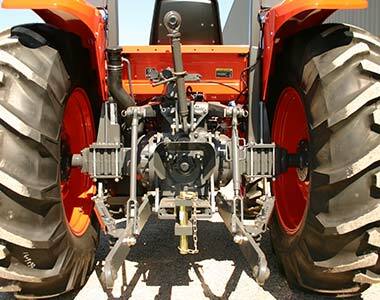 Category I & II 3-point hitches provide fast and simple attachment of rear-mounted implements. Two external hydraulic cylinders provide equal lifting force and smooth transfer of hydraulic power for easy operation. M-Series hydraulic pumps are located on the side case instead of on the engine, shortening the oil flow path and increasing efficiency. 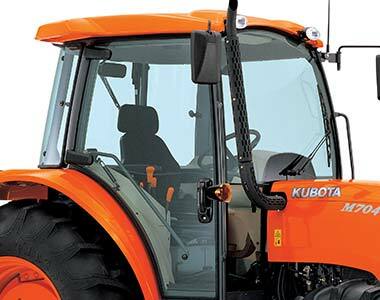 Shifting between forward and reverse is seamless and smooth with Kubota’s new and improved hydraulic shuttle. A column-mounted lever with left-hand operation makes shifting simple. Bevel-gear front axle provides the M40 series with better all around manoeuvrability, especially for jobs in tight spaces. Reclining, weight-adjusted seats come standard, designed to absorb shock and significantly reduce operator fatigue. Digital LED panel makes viewing vital functions on this tractor clear and easy. 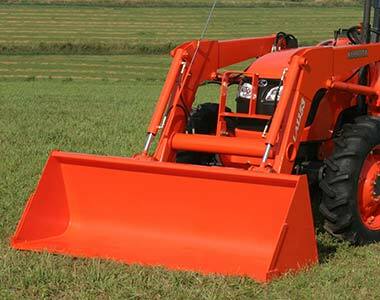 Optional LA1153E Kubota front end loader offers increased lifting power that’s perfect for farm use, and a fully integrated design with slanted boom to match the tractor’s hood. This sleek design also increases visibility and clearer sight lines to the bucket and loader sides. Sturdy, thick steel frame features no braces or connectors, making it quick and easy to attach the loader as well as offering increased visibility. Hydraulic tubes are neatly tucked inside the loader boom, better protecting the tractor hydraulics and offering increased operator visibility. Attach or detach the front loader in moments without the use of tools. The boom stands and mounting pins make this task a snap, allowing an extra measure of productivity and tractor versatility. Hydraulic self-levelling valve allows the operator to raise or lower the loader boom while keeping the bucket level to the ground. This helps prevent spills when carrying soil or sand and also makes pallet handling smooth and easy. QVX26 Mechanical Self Level Loader option available enabling the operator to keep the bucket level to the ground.